You are at:Home»iPhone»Sounds»iPhone Alarm Not Working? Here’s Why & The Fix! Your iPhone’s alarm clock won’t work and you’re not sure why. You’ve missed important meetings and appointments because of it! In this article, I’ll explain why your iPhone alarm is not working and show you how to fix the problem for good. Your iPhone’s ringer volume is what controls how loud your alarms will sound. The higher the ringer volume, the louder the alarm! 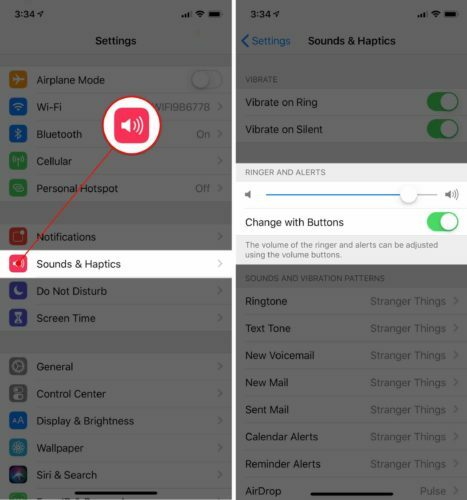 To turn up your iPhone’s ringer volume, open Settings and tap Sounds & Haptics. The slider under Ringer And Alerts controls the ringer volume on your iPhone. The farther you move the slider to the right, the louder your ringer volume will be! 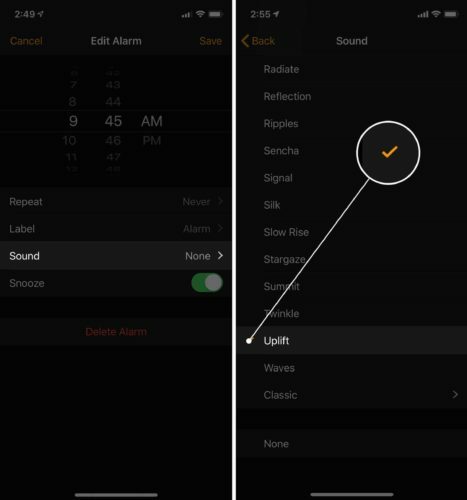 When you create an alarm on your iPhone, you have the option to set a specific tone. Any tone will do just fine! However, if you select None as the sound that plays when the alarm goes off, your iPhone won’t make any noise. 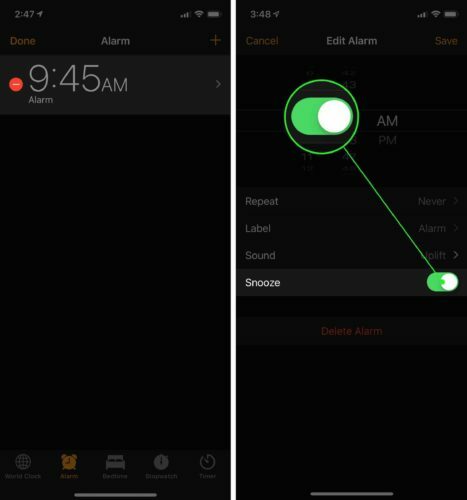 If your iPhone alarm is not working, it’s possible your alarm has been set to None. 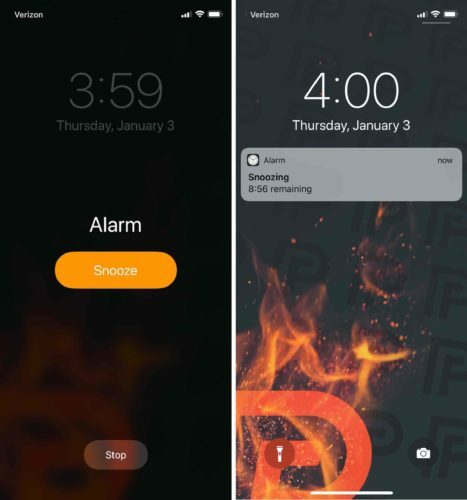 Open Clock and tap the Alarm tab at the bottom of the screen. Then, tap Edit in the upper left-hand corner and tap on the alarm that’s not working. Make sure None isn’t selected as the Sound. If None is selected, tap Sound and select something else. A small checkmark will appear next to the sound you select. When you’re happy with the tone you’ve selected, tap Save in the upper right-hand corner of the screen. 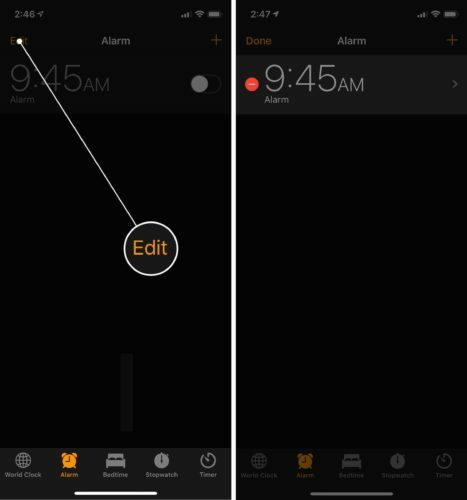 You can snooze an alarm on your iPhone by opening Clock and tapping Edit. Tap on the alarm you want to edit, then turn on the switch next to Snooze. When Snooze is on, you’ll see an option to snooze the alarm as soon as it goes off. You can either tap the Snooze button on your iPhone Home screen, or press the volume down button to snooze your alarm. Updating your iPhone is a great way to fix minor software bugs. Apple releases updates to patch up small problems and introduce new iPhone features. Open Settings and tap General -> Software Update. 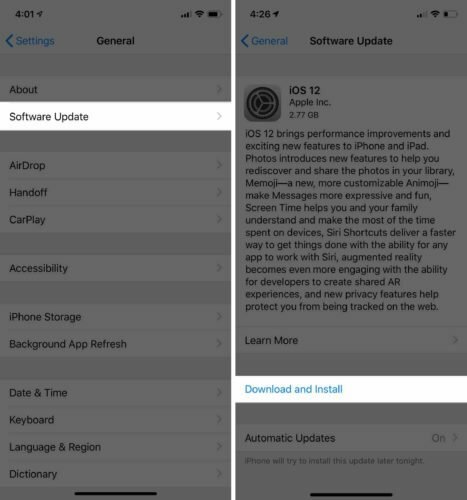 Tap Download and Install if a software update is available. If an iOS update isn’t available, move onto the next step! It’s possible a deep software problem is preventing your iPhone from making noise when an alarm goes off. Some software issues can be difficult to track down, so we’re going to reset everything. 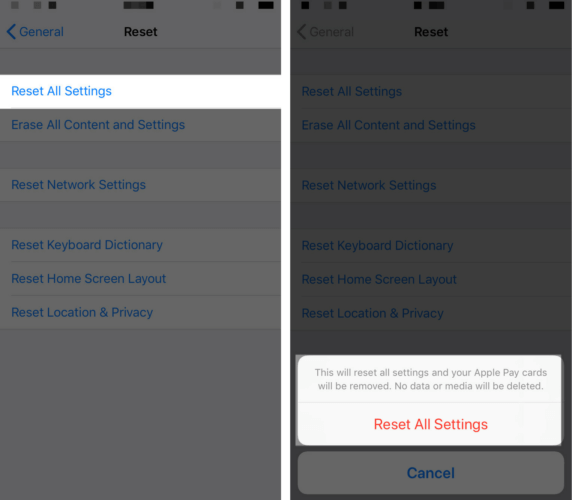 When you Reset All Settings, everything in the Settings app is restored to factory defaults. You’ll have to pair your Bluetooth devices to your iPhone again and reenter your Wi-Fi passwords. To reset all the settings on your iPhone, open Settings and tap General -> Reset -> Reset All Settings. Tap Reset All Settings to confirm the reset. Your iPhone will turn off, reset, and turn on again when the reset is complete. The last step you can take before ruling out a software problem on your iPhone is a DFU restore. A DFU restore is the deepest type of iPhone restore. Every line of code gets erased and reloaded like new, restoring your iPhone to factory defaults. I recommend saving a backup of your iPhone so you don’t lose any of your saved data or information. Check out our step-by-step guide when you’re ready to put your iPhone in DFU mode! If your alarms still aren’t working on your iPhone, it may be experiencing a hardware problem. There could be a speaker issue if your iPhone isn’t making any noises at all. I recommend scheduling an appointment at your local Apple Store so a Genius can take a look at your iPhone. If you’re pretty sure your iPhone speaker is broken, we also recommend Puls, an on-demand repair company. 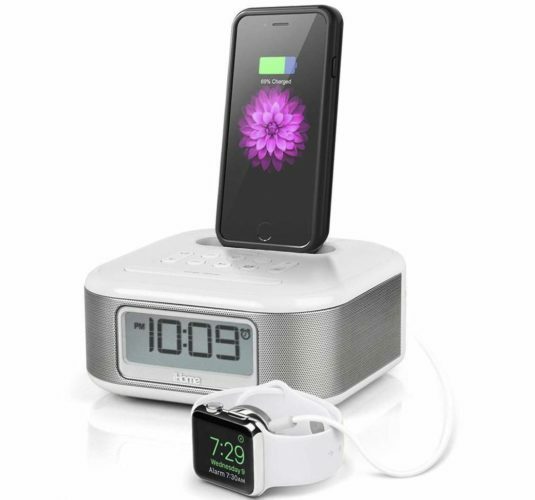 An iPhone alarm clock docking station can help you get a great start to your day, everyday. Alarm clock docks can hook up directly to your iPhone, so you can charge your iPhone overnight and wake up to your favorite music every morning. We recommend the iHome iPL23 Alarm Clock, which includes a Lightning connector for your iPhone, a USB port for another device, an FM radio, and a digital clock display. 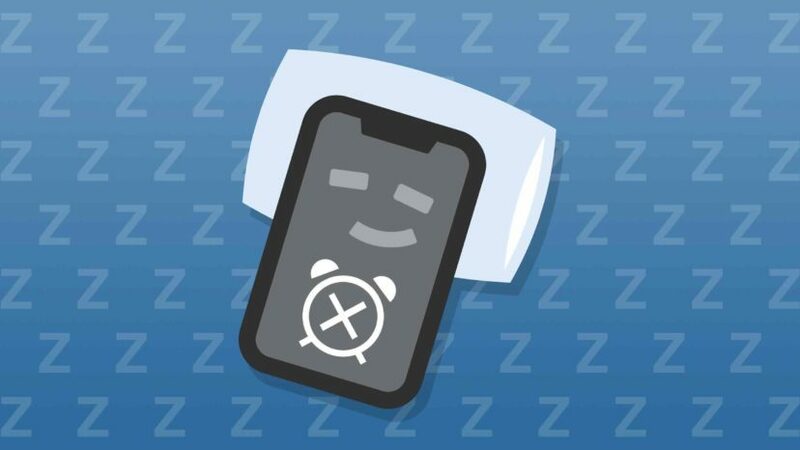 The alarm clock on your iPhone is working again and you won’t be oversleeping anytime soon. You’ll know exactly what to do the next time your iPhone alarm is not working! If you have any other questions, feel free to leave them in the comments section below. Previous ArticleHow Do I Delete Albums On iPhone? Here’s The Truth!